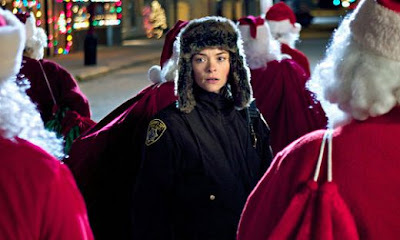 With the Holiday season upon is I thought it be best to review one of the newest Christmas themed releases, which brought me to the remake of the 1984 holiday classic "Silent Night, Deadly Night", simply titled "Silent Night". Now I must be honest and admit I'm not a fan of remakes but I do watch them as I have been surprised by a few in the past. I try and watch them without comparison to the original film but sometimes that is easier said than done, especially when the film itself makes references to it's predecessor and you find yourself remembering how much you enjoyed it. Now one big problem with this film is it's taking the route most modern day slashers are taking, where the film becomes more of an action styled film that mainly focuses on kills and making sure the scenes move at a fast pace. The plot in this film very, very thin and it rapidly becomes boring viewing which isn't helped by by how predictable it is. It didn't help itself by having references to the first 2 films which just made you snigger to yourself and start to think you should watch them instead. I had high hopes for Director Steven C. Miller. After watching his film "The Aggression Scale " I had him pinned down as a guy to keep an eye on but his work has steadily become very repetitive, so far all his releases are basically action films with horror scenarios and that becomes stale very quickly, as proven with this film. The casting of Malcolm McDowell excited me as he's a truly talented actor who's played some amazing roles in great films, but he's wasted in this film and he honestly doesn't seem bothered at all and puts in a half hearted performance (come on Malcolm you're better than this). Jaime King is our lead actress and if I'm honest I've never been her biggest fan and she didn't exactly help change my mind with her performance, she's so stiff and always looks uneasy on screen. 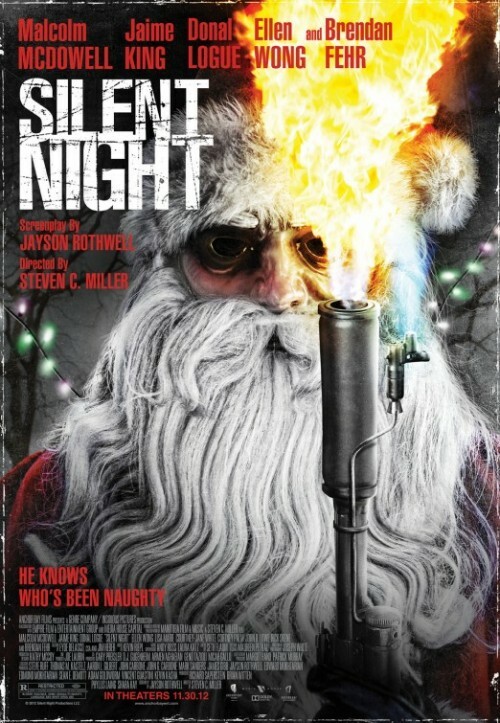 "Silent Night" is another addition in the long line of bad remakes, personally I'd rather stick to the original. Even as a stand alone film it's nothing special, just another sub-average film that the genre is already cluttered with. 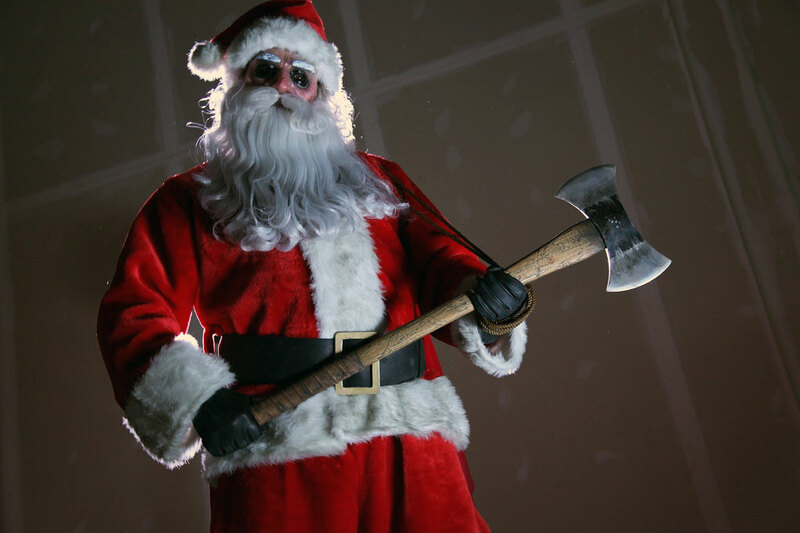 One way I'd describe it is if the makers of the film "Santa's Slay" took themselves seriously.